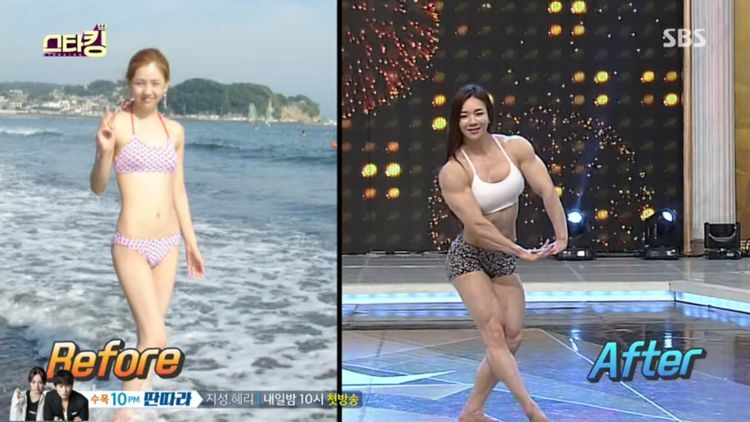 Yeon-woo Jhi has been competing in bodybuilding events for nearly a decade, but it was only a couple of years ago that she became a mainstream online celebrity. Photos of the muscular beauty went viral online and people just couldn’t get over the contrast between her cute, doll-like face and her brawny body. Yeon-woo Jhi’s unique look has made her very popular on Instagram, where she currently has over 130,000 followers and earned her TV appearances in her native South Korea.